Sainsburys announced this week that they have acquired Nectar and sister company i2C for £60m. For the sellers Aimia it marks an in glorious retreat from the UK that spelled disaster for their shareholders, having paid £380m for Nectar in 2008, 10 years later they have sold it for a fraction of their outlay, concluding that they have taken the programme as far as they can. For the purchasers the prospects are much more encouraging and so the question is begged ,what should Sainsburys do now that they are in full control ? 1. Firstly they should continue with what’s working. Around 15m people regularly swipe their Nectar card, the vast majority of them in Sainsburys but also including BP, ebay, Europcar and various other online merchants. There’s nothing immediately broken at the front end, although, as we will see later there are many ways they can make it better for customers and more profitable for Sainsburys. 2. 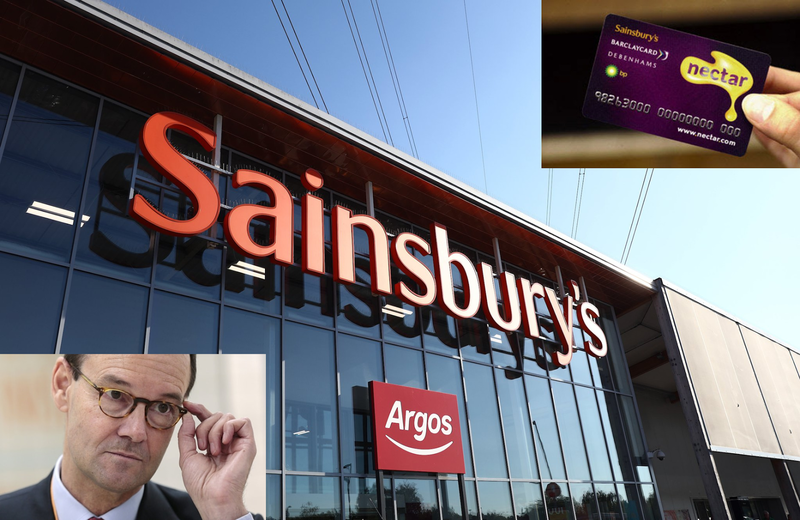 They should build strong relationships with existing partners and continue to try and find new ones - particularly those of interest to Sainsburys top 5% of customers. Nectar plays a valuable role for BP and the other partners. They don’t compete with Sainsburys who get the benefit of redeeming many of the points earned outside Sainsburys, which cost them nothing, or increasingly with newly acquired Argos. Sainsburys should reassure these partners that it is business as usual. They should continue to seek partners that offer complementary services (but given Sainsburys already have a bank, insurance telco & utility partnerships that doesn’t leave a lot). Fashion, travel and specialist services. This needs to be widely understood throughout the extended Sainsburys business – bank, utilty partnerships, Argos etc so that marketing monies that currently flow to Google, Facebook and others are wherever possible, channelled through the Nectar platform. a) replace Nectar’s home grown and outdated IT systems with a cloud based loyalty platform such as Prime Cloud from Loyalty Prime (disclosure, we are advisers to Loyalty Prime). This would save £10’s millions in operating cost and headcount whilst giving management much more flexibility in the way they are able to help customers to earn and redeem their points. b) Shut down all attempts at building an International business. I once attended a meeting at Nectar HQ to discuss a potential European venture. There was an extraordinary number of strategy and European management in attendance, all seeming very well paid and with no business to speak of. 5. They should innovate with customers to enable payment linked loyalty – allow customers to either register their personal Visa, Mastercard or Amex payment cards so they don’t need to carry an additional card and introduce a Nectar payment app (similar to Tesco Pay) to make things easier for customers who want to pay by phone. 7. They should use AI to deliver mass personalisation at scale. Nectar and sister company have done a good job in replicating the type of targeted communications that were pioneered by Tesco and dunnhumby. There isn’t much to choose between either service , each of which is in a lucrative monopoly position as gatekeeper to their respective customer base. Selling targeted and measurable media will continue to be a very profitable income stream funded by the major branded suppliers like P&G, Unilever, Mars etc – at least until these suppliers find ways to disintermediate i2c and/or dunnhumby, but that day still looks far away. A big opportunity is to use new AI enabled tools like ciValue that can automate the allocation of offers to customers based on collaborative filtering and machine learning and automatically apply the governing “customer contact and relevance rules” so that all customers get the best available information or offer delivered at the right time via the right channel. Today the process for the above is highly manual, civalue (disclosure – we act as advisers to ciValue) would automate the sourcing, strategic targeting, execution, measurement and test and learn so that more communications can be delivered, more personally and relevantly, at much lower cost. 8. They should continue to give customers choice over their preferred redemption channels. Many customers will want cheaper groceries, others want to save for a holiday or special event. Let customers choose the path that’s best for them. They should enable more digital redemption. It’s a crime against innovation that Nectar is still largely card and paper based. 9. They should introduce tiers and create a VIP programme for the top 5% of customers who probably account for 30%+ of Sainsburys sales. These are most likely to be high spending affluent families who shop online and instore at Sainsburys, have a Sainsburys/Nectar payment card and have their utilities and insurance through Sainsburys. There are many concierge style services that could be offered to these customers – eg they could be allocated a Net a Porter style personal shopper – that could be delivered profitably and would help to lock in their lifetime loyalty and encourage others to engage in order to achieve similar benefits. 10. Finally, they should relaunch Nectar for Business. Currently this is a fairly hopeless b2b programme with limited member or partner participation. It could become a highly profitable programme that is compelling for SMEs and tradespeople and the many big businesses who supply them with goods and services, but it needs a new strategy, focus & leadership.